The trial of an African National Congress Councillor accused of hiring hit men to murder her husband started in the high court in Oudtshoorn in the Little Karoo. Magdalene Titus and her three accused pleaded not guilty to charges of murder and conspiracy to commit murder. Preston Titus was a Staff Sergeant in the South African National Defence Force and was killed at his home at the local army base in December 2017. The State called for the minimum sentence of life for all the accused, should they be found guilty. Magdalene Titus is said to be the mastermind behind the plan to murder her husband. One suspect has already been sentenced after implicating her, her best friend and two others. The court conducted an in loco inspection at the crime scene and the community of Oudtshoorn rallied around his family. State witnesses are expected to be called to testify this week and the trial is set to continue until the end of March. 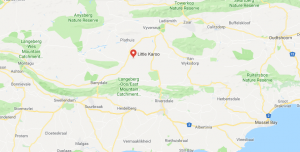 The post Trial of ANC councillor accused of murdering husband rocks Little Karoo appeared first on SABC News – Breaking news, special reports, world, business, sport coverage of all South African current events. Africa's news leader..